This herd of cattle is grazing on the R. K. Perry ranch on the Cimarron River, south of Meade, Kansas. The Cimarron River is visible in the background. 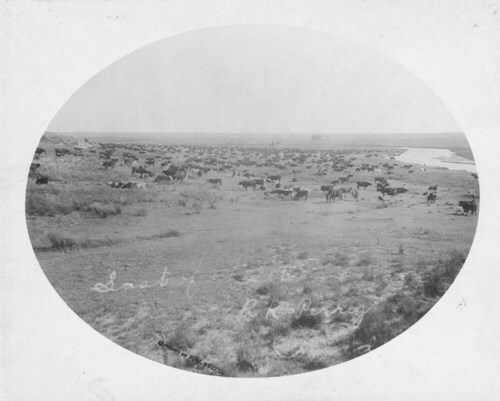 The partially legible phrase "last herd of cattle leaving R. K. Perry..." is written on the photograph.